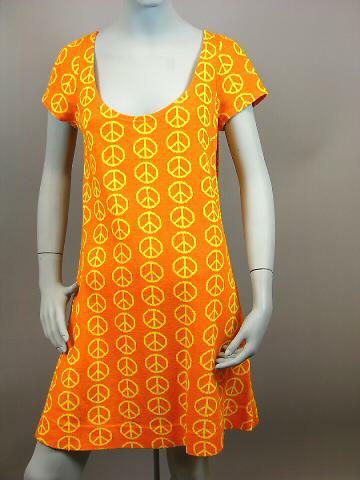 This mini dress was created in San Francisco by Alvin Duskin (reads "alvin duskin, San Francisco" on the label at the nape of the neck). 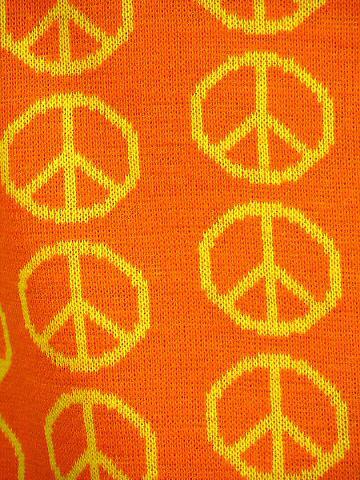 It is made of probably a synthetic fiber, knitted, orange color with yellow peace symbols scattered all over it. The short sleeves are almost "muscle" style, very short; scoop neck.